Altosid XR Briquets are specially designed to effectively control and prevent adult mosquito emergence in treated areas. It is just like Altosid 30 - Day Briquets, which require no expensive application equipment and can be pre-treated before wet season starts. 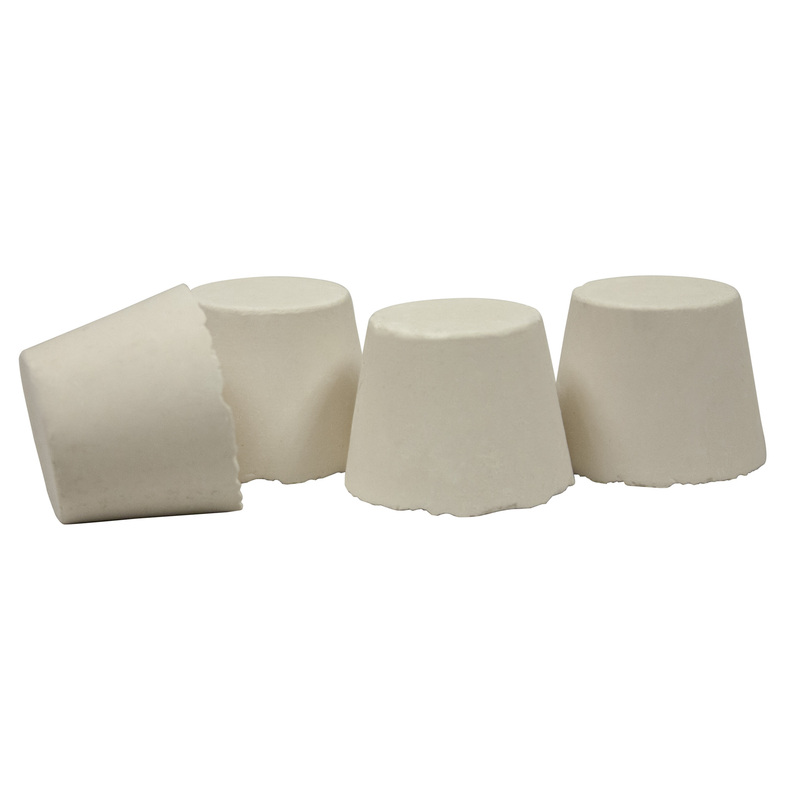 This works by releasing effective levels of (S)-Methoprene insect growth regulator for up to 150 days in mosquito breeding sites. This will allow larve to grow to adult mosquitoes and then die. Some of these sites include fish ponds, storm drains, catch basins, ornamental ponds and fountains, other artificial water-holding containers, and more. However, it will not work with mosquitoes that are adults before treatment. It is advisable to be applied before the start of mosquito season or wet season. This allows for better coverage and will fit through any storm drain or sewer without having to lift the grate. Each box comes with 220 briquets. This option is a cork shaped biquet. Altosid 30 - Day Briquets (100 briquets) is also another option. This will last up to 30 days. Place ALTOSID XR BRIQUETS at or before the beginning of the mosquito season. Apply ALTOSID XR BRIQUETS prior to flooding when sites are dry, or on snow and ice in breeding sites prior to spring thaw. Under normal conditions, one application will last the entire mosquito season, or up to 150 days, whichever is shorter. Alternate wetting and drying will not reduce their effectiveness. Aedes, Ochlerotatus, and Psorophora spp. : For control in non-(or low-) flow shallow depressions (< 2 feet in depth), treat on the basis of surface area, placing one ALTOSID XR BRIQUET per 200 square feet Place briquets in the lowest areas of mosquito breeding sites to maintain continuous control as the site alternately floods and dries up. Culex, Culiseta and Anopheles spp. : Place one ALTOSID XR BRIQUET per 100 square feet Coquillettidia and Mansonia spp. : For application to cattail marshes and water hyacinth beds. For control of these mosquitoes, place one ALTOSID XR BRIQUET per 100 square feet. basins, follow the chart below to determine the number of briquets to use. For storm water drainage areas, place one briquet per 100 square feet of surface area up to two ft deep. In areas that are deeper than two feet, use one additional briquet per two feet of water depth. Water flow pressure increases the potential dissolution of the briquet. Conduct regular inspections (visual or biological) in areas of water flow to determine if the briquet is still present. Adjust the retreatment interval based on the results of an inspection. 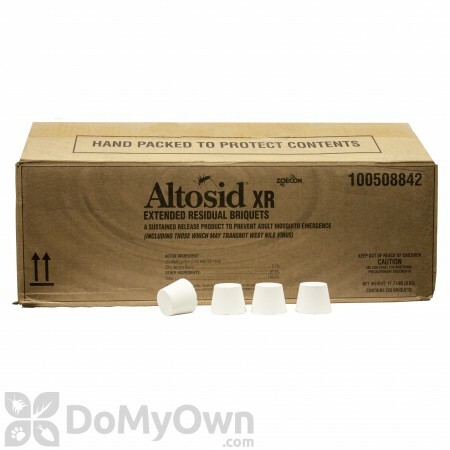 ALTOSID XR BRIQUETS are designed to control mosquitoes in treated areas. Examples of application sites are: storm drains, catch basins, roadside ditches, fish ponds, ornamental ponds and fountains, other artificial water-holding containers, animal watering troughs, cesspools and septic tanks, waste treatment and settling ponds, flooded crypts, transformer vaults, abandoned swimming pools, tires, construction and other manmade depressions, cattail marshes, water hyacinth beds, vegetation-choked phosphate pits, pastures, meadows, rice fields, freshwater swamps and marshes, salt and tidal marshes, treeholes, woodland pools, floodplains, and dredging spoil sites. For application sites connected by a water system, i.e., storm drains or catch basins, treat all of the waterholding sites in the system to maximize the efficiency of the treatment program.